The proposed investment program will support USP in expanding access to higher education in 12 Pacific island countries (PICs) with improved quality of learning environments and programs. The investment program will include (i) expansion of regional campuses and accommodation facilities in Kiribati, Solomon Islands, and Fiji; (ii) enhancing information and communication technology (ICT)-based distance learning programs; (iii) improving student services, and (iv) strengthening governance and management capacity of USP. The improved access to and quality of higher education at USP will contribute to human resource and skills development in PICs, which is essential in promoting productivity and diversification of the region's economy. Description The proposed investment program will support USP in expanding access to higher education in 12 Pacific island countries (PICs) with improved quality of learning environments and programs. The investment program will include (i) expansion of regional campuses and accommodation facilities in Kiribati, Solomon Islands, and Fiji; (ii) enhancing information and communication technology (ICT)-based distance learning programs; (iii) improving student services, and (iv) strengthening governance and management capacity of USP. The improved access to and quality of higher education at USP will contribute to human resource and skills development in PICs, which is essential in promoting productivity and diversification of the region's economy. The Pacific region is made up of countries with varying land sizes, populations, natural resources, and cultures. Yet many PICs face common challenges for sustainable development due to geographic remoteness, small domestic markets, a narrow industrial base, and vulnerability to natural disasters. For these PICs, human resources development, especially the provision of educated and skilled labor force, is a key priority in meeting the challenges of building resilient, diversified, and sustainable economies. Most PICs have made progress toward primary school enrollment, with the ratio ranging from 67% (Solomon Islands) to 99% (Kiribati). Progress in secondary school enrollment has been slow across PICs, and updated statistics are not readily available. Higher education opportunities in the Pacific, however, remain limited and the lack of adequate opportunities for higher education is a serious constraint in producing a qualified work force that can support the development of diversified economies. The gross enrollment rate at higher education ranges from 10% in Fiji to an average of 2%-5% in most other PICs. These countries, as a result, face a shortage of well-qualified professional and technical personnel such as administrators, accountants, and engineers who are capable of developing and supporting the public and private sectors. There are three major challenges that prevent potential students from accessing higher education in the Pacific. First, the costs of higher education, particularly for youths from poor families, are high, while its long-term benefits seem uncertain. Second, while the top 5% of high school students have access to scholarship opportunities overseas, the majority of aspiring youths do not have ready access to higher education in the region. Third, many Pacific Islanders perceive that higher education is not valued by employers as relevant or advantageous. Increases in opportunities for quality higher education are expected to better equip the labor force to adapt to a changing economic environment. The highly-educated will promote entrepreneurial activities in a wide range of sectors, generate higher incomes and tax revenues, and increase savings and investment. With widening access to study teaching, nursing, and public administration, women will particularly benefit as these will open up opportunities for the professional workforce in the home countries or abroad. Higher education will also help PICs to advance the business environment, strengthen governance, and improve the quality of social services. Improving access to and quality of higher education is one of priorities in the regional development agenda. The Pacific Plan recognizes the need to increase access to academic education as well as formal technical and vocational education. It provides the basis for strengthening regional cooperation to (i) raise living standards, (ii) increase access to opportunities, and (iii) stimulate growth for the Pacific countries. This vision was reiterated at the 2010 Pacific Education Ministers' Meeting which concluded that a qualified and educated workforce is a prerequisite for future sustained growth. 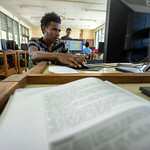 An insufficient pool of qualified graduates would restrict the development of the private sector in the Pacific region. To meet the regional challenges of higher education, USP was established in 1968 by the governments of 12 PICs. Since then, it has been the leading university in the Pacific and the first choice for students from the PICs. USP's regional role is demonstrated by the spread of its campuses, student composition, governance, and approaches to education delivery. USP's main campus is located in Suva, Fiji and has served as USP's headquarters since its establishment. It is also the center from which ICT-based distance and flexible learning (DFL) programs are coordinated and broadcast. 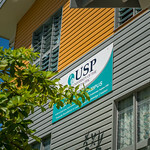 In addition to its main campus in Suva (Laucala campus), USP has 13 campuses across the 12 PICs. The USP Council, currently chaired by Samoa, is the highest decision-making and governing body of USP, represented by 37 members from the 12 PICs. 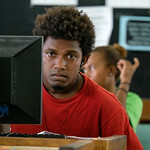 For the majority of young people in the Pacific, USP is the only viable option to obtain higher education, especially for those who cannot gain scholarships to go abroad or with limited financial means. Of the estimated 23,000 regional students from 12 PICs enrolled in some type of higher education in 2008, nearly 40% were attending 14 USP campuses. DFL programs with a high degree of flexibility enable USP to reach out to remote parts of the Pacific, and to those who cannot afford full-time studies. As of 2010, approximately 20,000 students were enrolled in USP's pre-degree or degree programs across the member countries, and more than 40% of these students were studying through DFL programs. USP has recently initiated a range of reforms to meet rapidly changing global and regional needs. The USP Strategic Plan 2010-2012, addressing "Qualify, Relevance, and Sustainability," has been implemented to enhance the quality and relevance of its learning and teaching programs. A new strategic roadmap 2013-2018 has been developed to further reshape the strategic focus of the university while expanding its provision of quality higher education across the region. Key elements of strengthening USP's regional role outlined in the roadmap include (i) improvement of the physical learning environment, (ii) enhancement of the curricula and ICT-based learning methods, (iii) development of academic and career advisory services, and (iv) improvement of USP governance and management systems. The roadmap also emphasizes the provision of equity in learning, research addressing newly emerging regional concerns such as climate change, and forging partnerships and engagement across the region. The proposed MFF will support the implementation of USP's roadmap for improving access to quality higher education for the growing young population in its member PICs. It is proposed as MFF so that USP can implement the roadmap in phases according to its management capacity and available human resources. The first tranche will finance the expansion of USP campus in Kiribati, while support to the Solomon Islands campus and the main Laucala campus will be included in subsequent tranches. The MFF was selected as the financing modality, as it (i) provides longer term support to the implementation of the USP roadmap 2013-2018, (ii) reduces transaction costs compared to individual project financing, (iv) align ADB's support with other development partners, and (v) allows ADB to secure a sovereign guarantor for subsequent tranches. The Government of Kiribati has agreed to serve as a sovereign guarantor for tranche 1, while other development member countries and development partners are in discussion with ADB for a similar arrangement for subsequent tranches. Financing will be extended under the MFF subject to (i) timely submission of periodic financing requests; (ii) the USP Council's endorsement of subsequent tranches; and (iii) execution of the related loan, project, and guarantee agreements of each tranche. Impact USP graduates contribute to economic competitiveness and diversifications of 12 USP member countries. Description of Outcome USP provides expanded/equitable access to higher education in 12 USP member countries. 1. The USP Kiribati will exceed the target of 5 new classrooms operating with adequate ICT equipment. The plan includes ten new ICT-equipped teaching rooms ready for mixed modes of teaching and learning. This includes 2 computer labs, one science lab, and one video conference room, and an Atoll Research Center. 2. 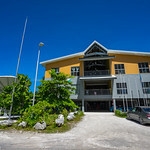 The USP Kiribati campus has exceeded the target of 80% courses being offered on its learning management system, Moodle. Currently, 100% of course are being offered; however, there is a connectivity issue that prevents all users to access the Moodle still. USP Kiribati is on track to achieving its target of 30% doing on line mode of learning by 2018 with an 8% increase from the baseline of 0% in 2010. The target of 50% ICT mode enrollment by females is achieved. 3. USP has made strong progress in its Education management Information System (EMIS) and in complying with its audit report recommendations. The USP has invested more than $1 million in upgrading its infrastructure for its enterprise resource planning system (Banner). The Banner upgrades significantly enhance its reporting platforms and processes for audit recommendation monitoring and reporting. The Senior Management Team of the University is comprised of 44% (non-academic) staff and 47% (academic and nonacademic). 4. The USP established a Project Implementation Unit (PIU) to manage and oversee all project activities. This group meets regularly, however project outputs are not on-time. Much of this is due to external circumstances and factors. Environmental Aspects The MFF and each tranche are classified as category B in accordance with ADB's Safeguard Policy Statement (2009). An initial environmental examination (IEE) was prepared to assess and review the process for project implementation. Civil works under tranche 1 and subsequent tranches may have minor adverse environmental impacts such as noise and traffic congestion during construction. Measures to mitigate such effects and monitoring and compliance tasks are outlined in the IEE for the project's compliance with ADB's Safeguard Policy Statement (2009) and all applicable environmental laws and regulations of the relevant countries. Involuntary Resettlement The MFF and each tranche are classified as category C for both involuntary resettlement and indigenous peoples in accordance with ADB's Safeguard Policy Statement. The projects under MFF do not involve land acquisition or involuntary resettlement impacts. All civil works will be undertaken on land currently being used by USP or on land provided by the government free of any other claims or issues. The projects are not expected to impact any distinct and vulnerable groups of indigenous peoples as defined under the Safeguard Policy Statement (2009). Indigenous Peoples The MFF and each tranche are classified as category C in indigenous peoples in accordance with ADB's Safeguard Policy Statement. ADB and the University of the South Pacific signed loan and grant agreements to fund construction of a new USP Honiara Campus, which will boost access to quality higher education in the Solomon Islands.